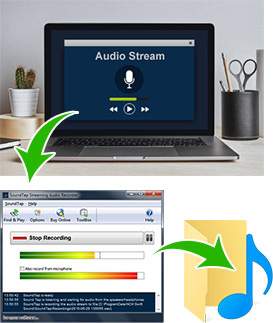 Streaming Audio Recorder. Capture Audio & Music on PC or Mac. 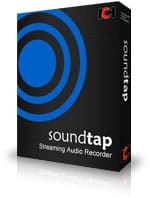 SoundTap is streaming audio capture software which will convert any audio playing through your computer to mp3 or wav files. Streaming audio is recorded by a special kernel driver to preserve digital audio quality. The high definition audio files can be saved and played back on any device. Record VoIP phone calls made with Skype or Express Talk softphone.This is often done in businesses or call centers for quality assurance. * SoundTap complies with Microsoft's DRM signed driver model and will not record streams if a DRM player is used and if the stream is marked as DRM copy-protected.